Mythological Lore and Huge wins are combined in the most popular Microgaming slot to date, Thunderstruck 2. The game has interesting portraits of characters involved in the story. The prizes are excellent and it pays out per spin with pretty average consistency. However, the game by default has very slow spins. So, if you were looking to fast spin through a few rounds, then you may want to consider using an auto spin. 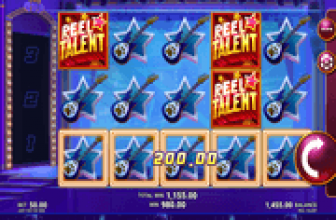 This game is heavily featured at Jackpot City, however, it can be played at any participating Microgaming casino. The music is also very calming and probably too relaxing as it might actually put you to sleep. Obviously, sleeping on the keyboard isn't recommended, but you can just turn the sound down or mute it if it starts making you sleepy. The game is entitled Thunderstruck II, as it is the sequel of one of the most popular Microgaming games, Thunderstruck. The game takes players to the northern lands at the times of the Vikings as the game is themed around the Nordic gods of Vikings. These gods include Thor, Loki, Freya and more. So players will get to rub shoulders with the Nordic warriors as well as their gods that are going to appear as symbols across the reel and lines of the game. One of the most popular gods is Thor, the god of thunder, which explains the name that Microgaming has chosen for the game. 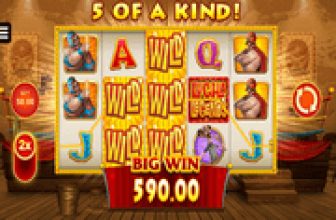 The game has a 5 reeled setup that hosts a total of 243 ways to win that comes baring a lot of rewards for players. players will be able to view all of the different regular pays that the symbols can give to players, as well as the special icons of the game and their rewards at the payouts page of the game. it can be opened by clicking on the View Pays button. The game has a wild icon, which is represented by the logo of the game icon. This symbol is going to replace all other icons, except the other special icons of the game to help players in claiming a payout by forming a winning combo. 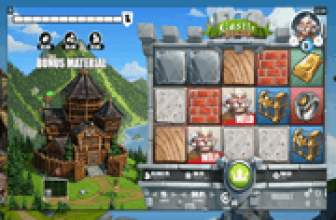 There is also the scatter icon, which is the Mjolnir symbol that can trigger the great hall of spins which is a multi leveled feature that has plenty of free spins and multipliers for its players. The more they trigger the feature,the higher the level.